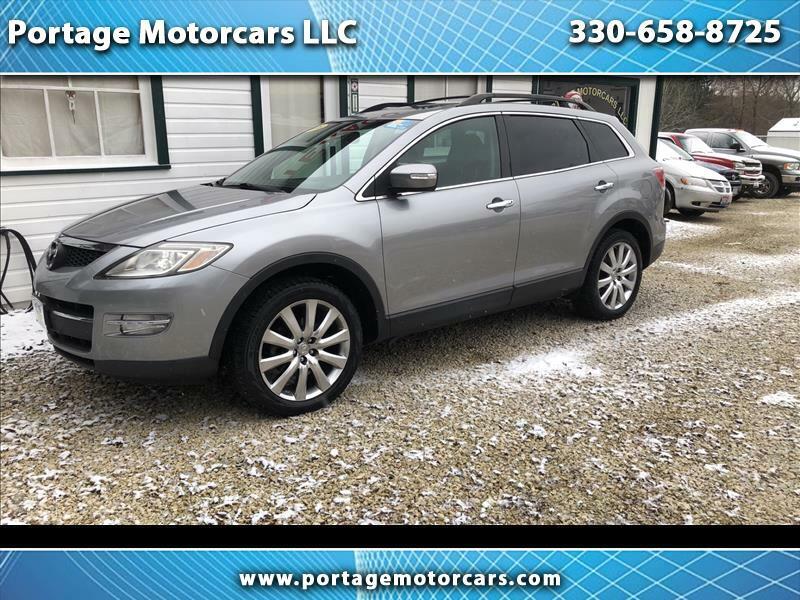 Contact Portage Motorcars today for information on dozens of vehicles like this 2009 Mazda CX-9 Grand Touring. When your newly purchased Mazda from Portage Motorcars comes with the CARFAX BuyBack Guarantee, you know you're buying smart. With this exceptional SUV, you'll get sport, utility, and comfort. Enjoy safety and stability with this all-wheel drive vehicle and drive with confidence in any condition. The CX-9 Grand Touring is well maintained and has just 114692 miles. Marked by excellent quality and features with unmistakable refined leather interior that added value and class to the Mazda CX-9 If you are looking for a pre-owned vehicle that looks brand-new, look no further than this Gray Mazda CX-9. Fast? That doesn't even begin to describe it. Get behind the wheel and take it for a spin to see just what we mean. When this vehicle was shipped from the factory, Mazda decided that no option should be left off of this magnificent automobile. So, if you're in the market for a CX-9 Grand Touring that is equipped with copious amounts of options, then Portage Motorcars may just have the perfect vehicle to suit your needs. Find the quickest driving route in this CX-9 Grand Touring using the installed navigation system. This nav system is one of the easiest to use and will help get you where you need to go quickly! This vehicle has been well-cared for inside and out.